These true-life stories about angels and their miraculous appearance to help people in need will inspire you and reassure you of God’s love. Do you believe in angels? Among the angels in the Bible, we read of how Jacob wrestled with an angel; how Mary was visited by an angel, who told her she would give birth to our Savior; and how an angel told the women at Christ’s tomb that He had risen. But angels don’t appear only in Scripture. They are present in our lives every day. In this FREE eBook, you’ll discover stories of angels on Earth and the messages they deliver. You’ll read seven inspiring, first-person experiences of spine-tingling miracles—stories of catastrophe averted, illnesses cured, and bad-fortune reversed. Stories that can help you recognize the miracles in your own life. Sometimes, an angel is heavenly being doing God’s work on Earth. Sometimes, an angle is a person who plays an angelic role in our life. We never know when or where an angel will appear. But one thing we do know: angels always surprise us. A guardian angel who rescued a young woman from a fire. A room full of angels appeared to support a man as he undergoes cancer surgery. An angel appears to give courage to a young boy in the hospital. 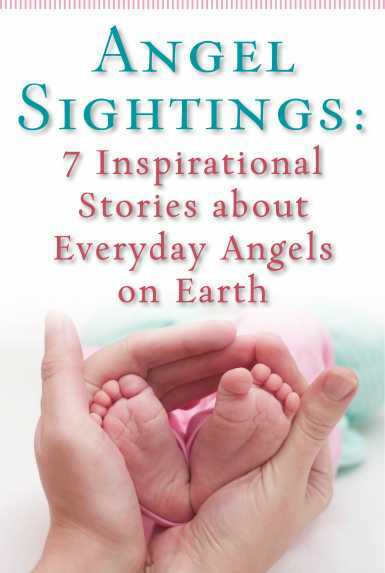 St. Francis de Sales said, “Make yourself familiar with angels, and behold them frequently in spirit; for without being seen, they are present with you.” Feel their presence right now: download your FREE copy of Angel Sightings: 7 Inspirational Stories about Heavenly Angels and Everyday Angels on Earth today.